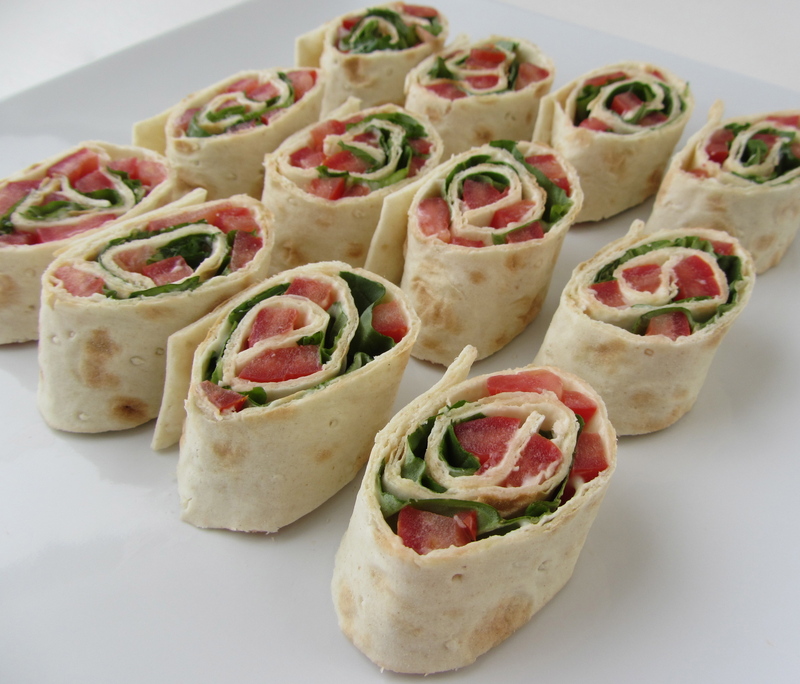 This is a quick little sandwich wrap that does double duty: it can be a simple snack for one, but also works wonderfully as an appetizer when entertaining. 1. Spread the mayonnaise onto a sheet of lavash bread. 2. Slice the tomato lengthwise into thin wedges and arrange them in a single layer onto the bread. Leave an inch of mayonnaise exposed at one end; it will help seal the bread when rolling. 3. Place a layer of basil leaves over the tomatoes. Season to taste with salt and pepper. 4. Starting at one end going toward the other with the exposed mayonnaise, tightly roll everything together. 5. With the seam side down, cut at a slight diagonal into 1-inch spirals.